Years of hardwork and dedication now mean you can proudly call yourself a member of RICS. 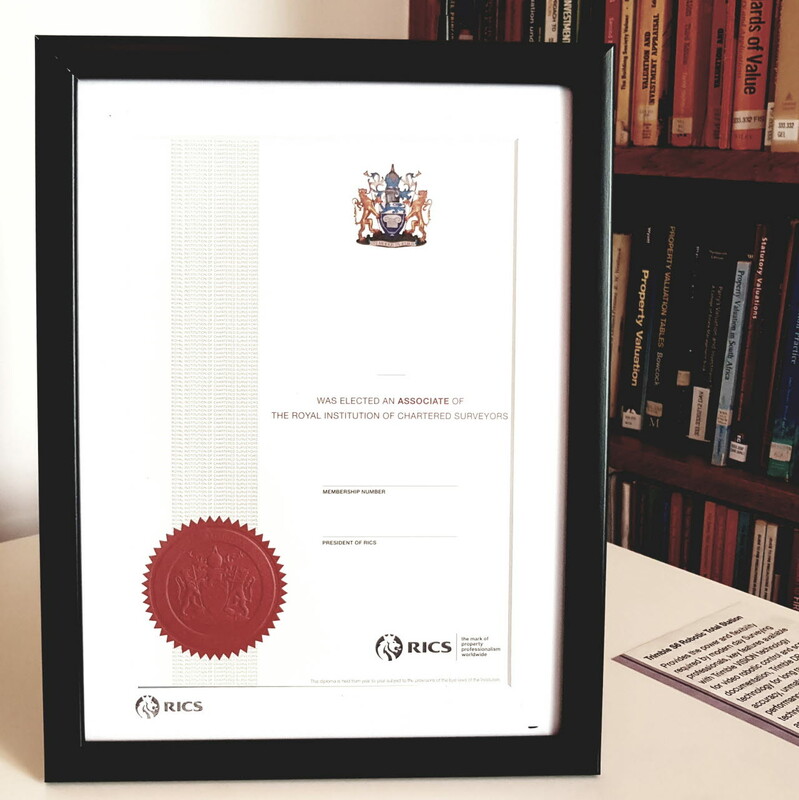 Why not promote your achievement by displaying your membership diploma in an RICS branded frame. Each frame is hand-made with hardwood, produced from timber stock originated from managed resources and a sustainable wood supply. Each frame contains a RICS white mount, uses quality brass fittings and is faced with toughened, non-reflective glass. Please email the details of how you wish your name to appear on your diploma to mailorder@rics.org after you have purchased online, quoting your order confirmation number & membership number. Replacement diplomas take four to six weeks for delivery.